The village of Steenkerke is located south of the town of Veurne (formerly Furnes) off the N8 which runs between Veurne and Ieper (Ypres). Driving from Veurne take the first turning left after the motorway which is called Steengracht West. 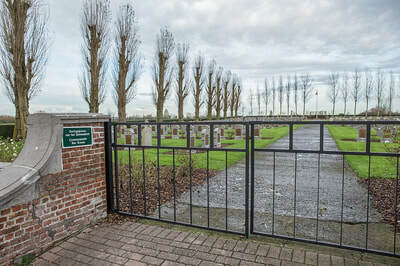 Follow this road into the village and at the first junction turn left into Steenkerkestraat. 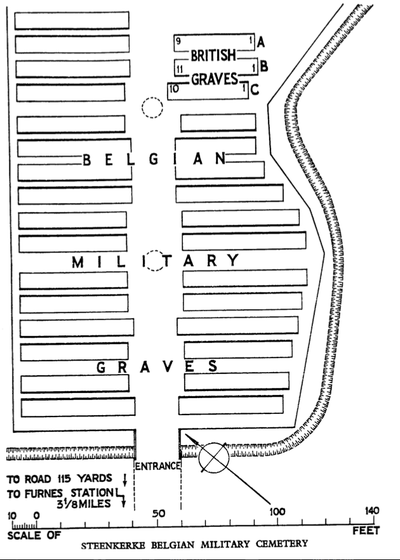 Then take the first turning right to the church, the cemetery is behind the church. 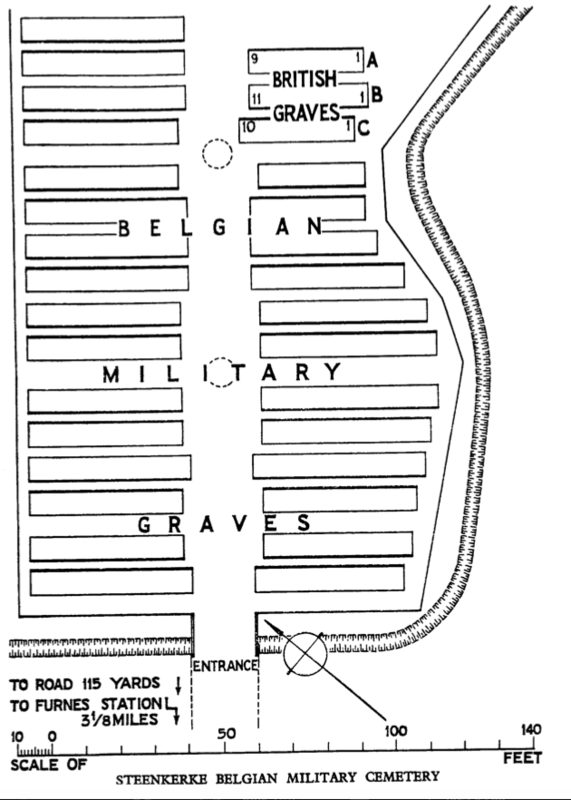 The graves are located in rows A, B and C at the right and side in the centre of the cemetery. 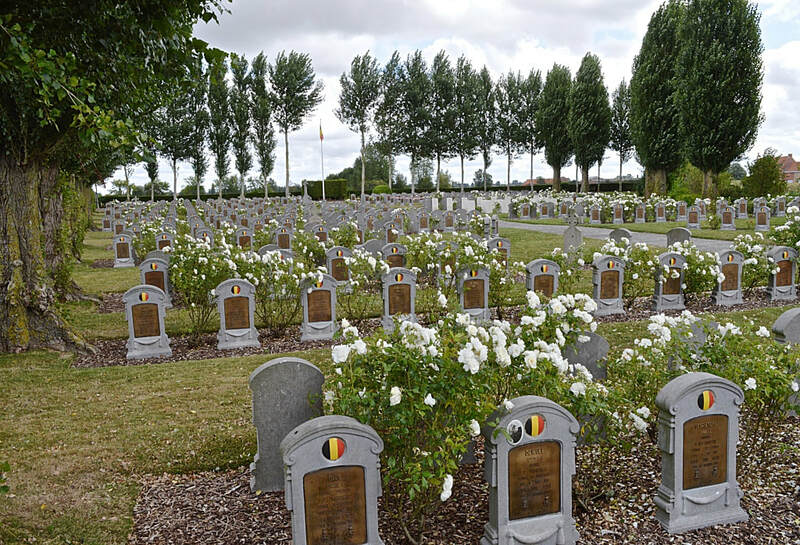 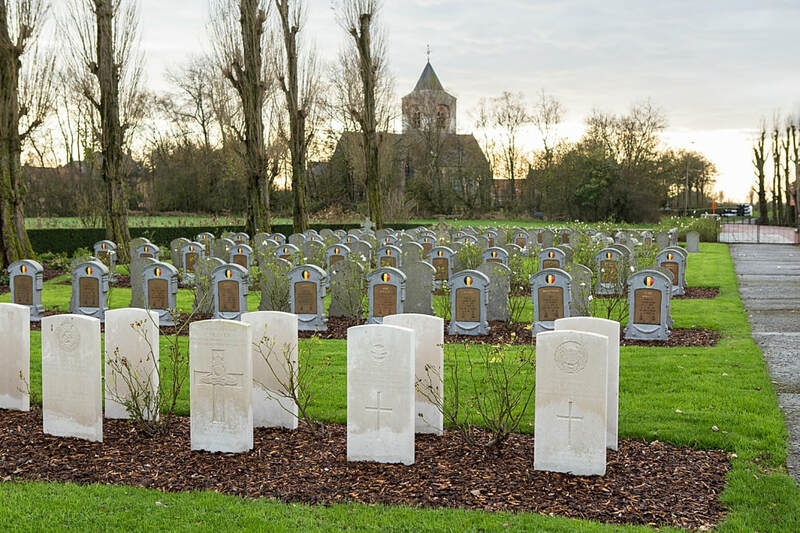 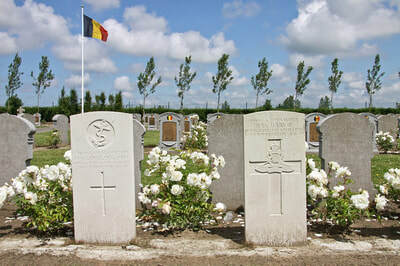 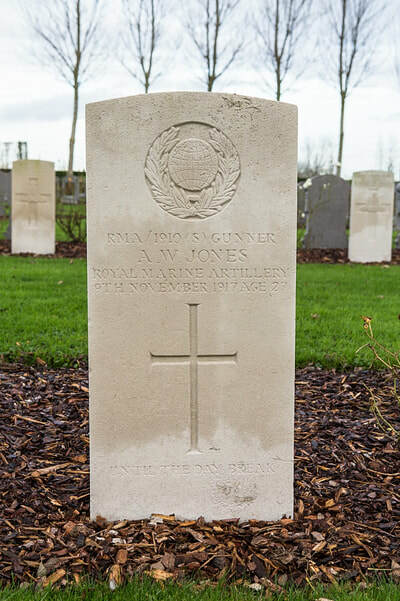 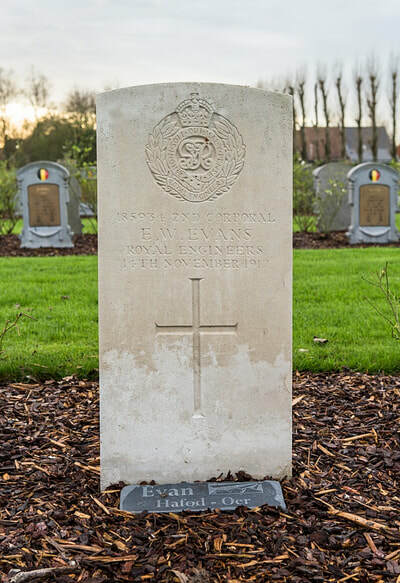 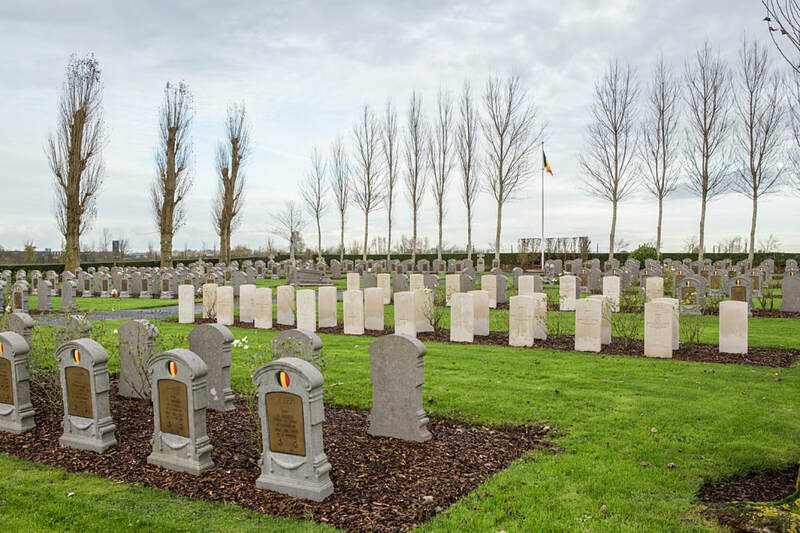 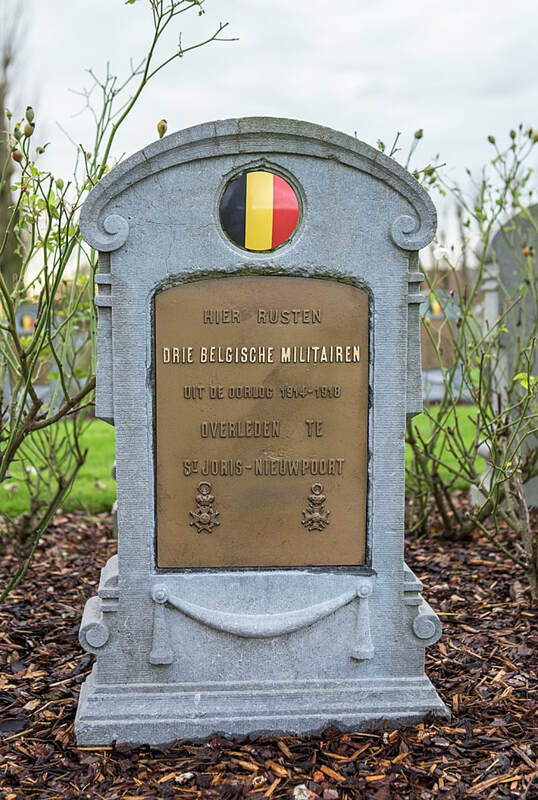 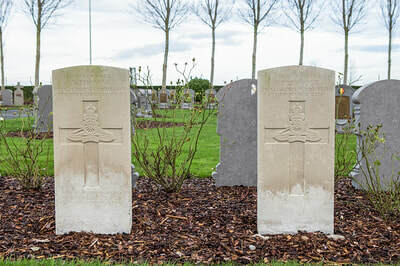 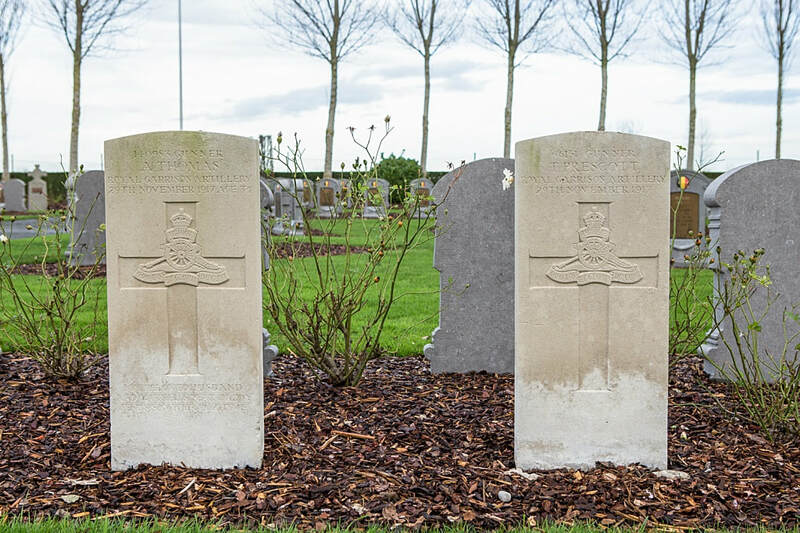 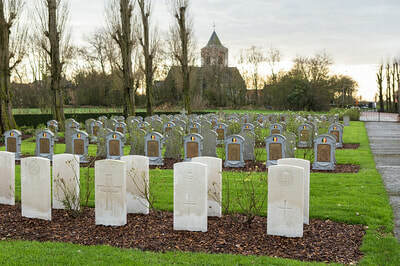 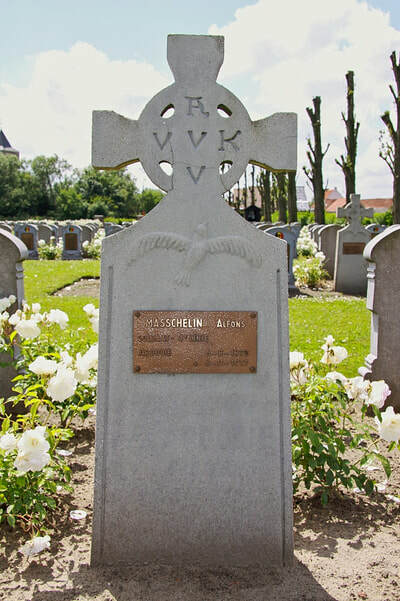 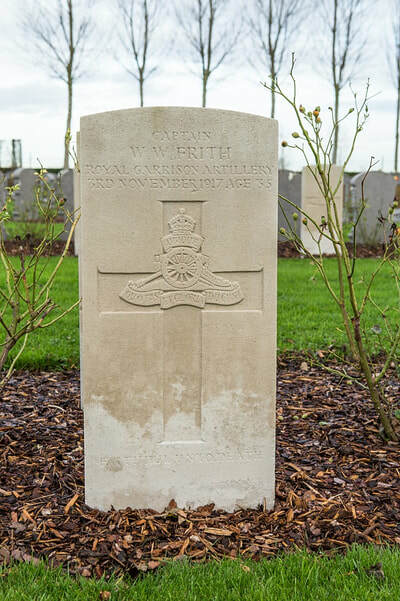 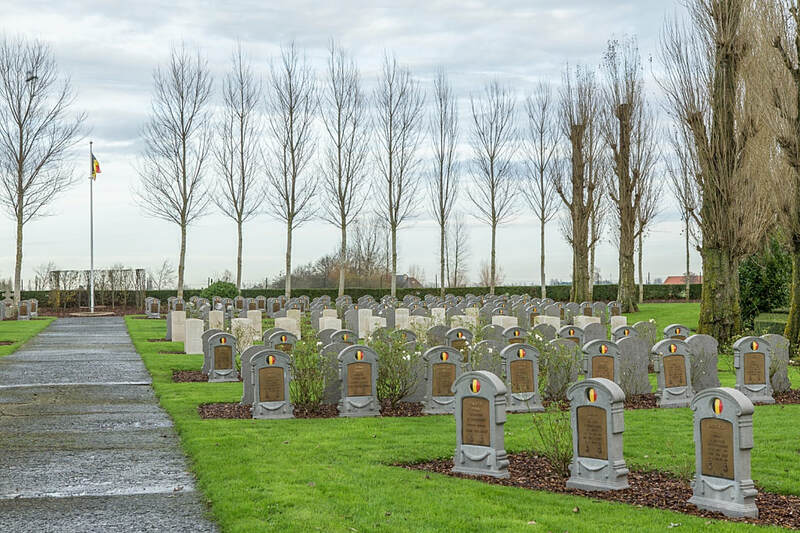 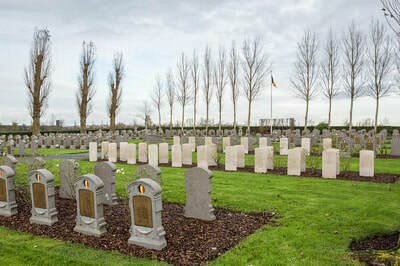 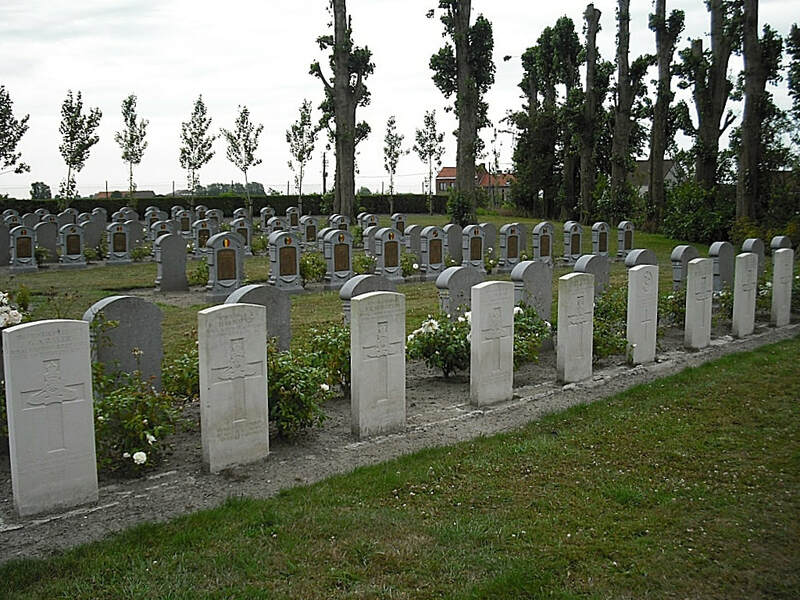 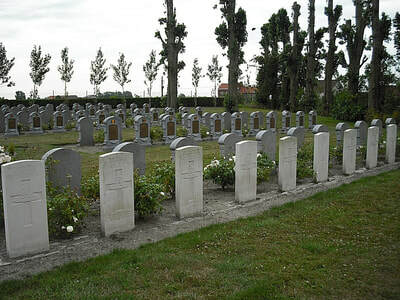 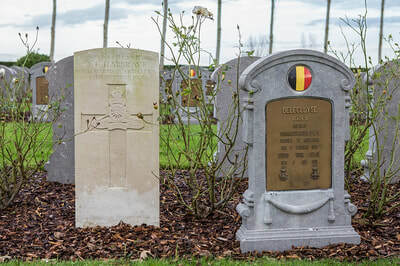 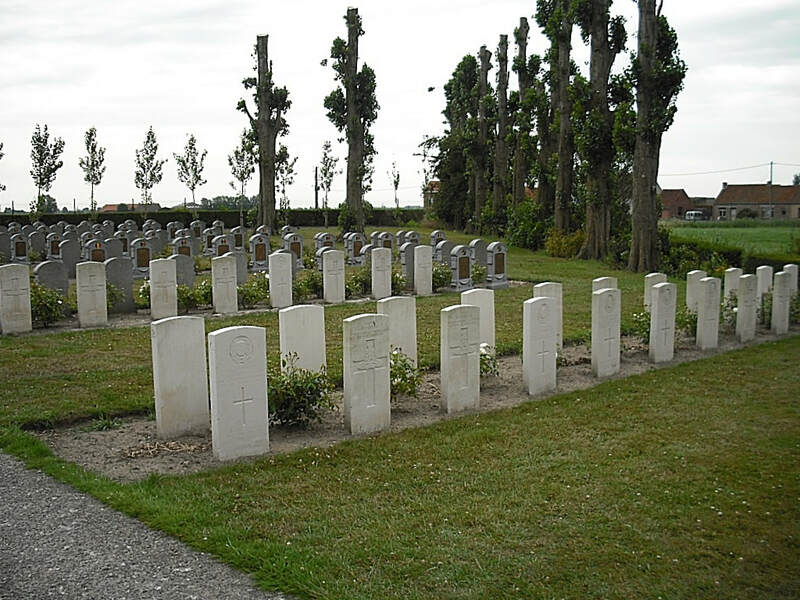 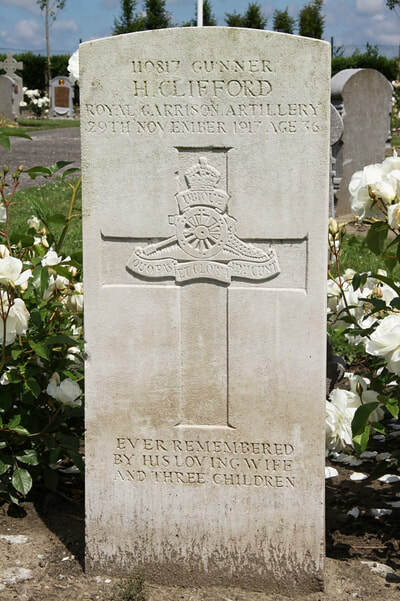 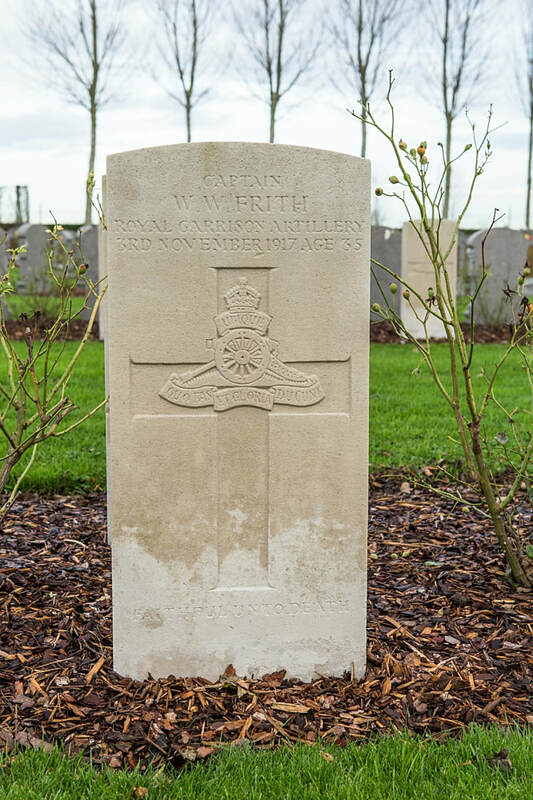 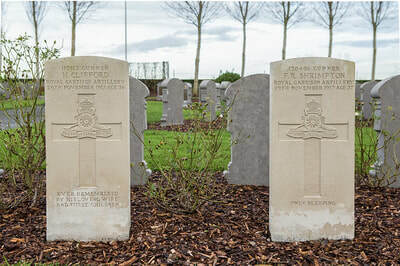 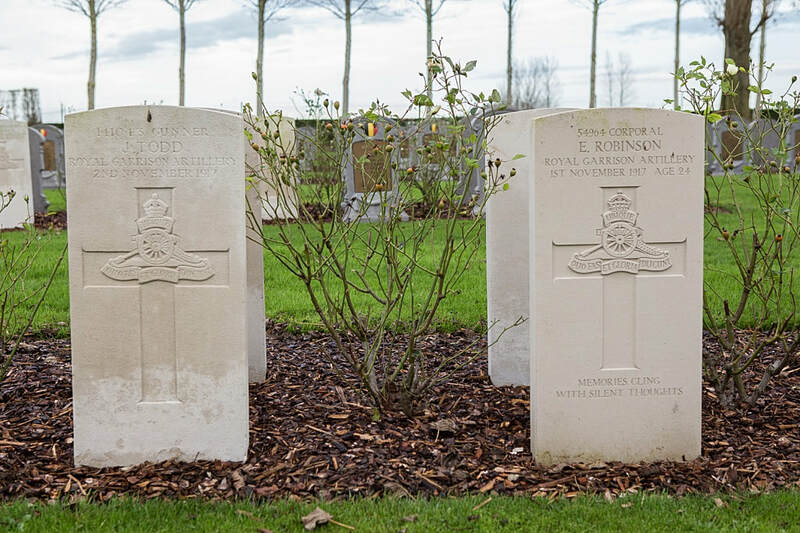 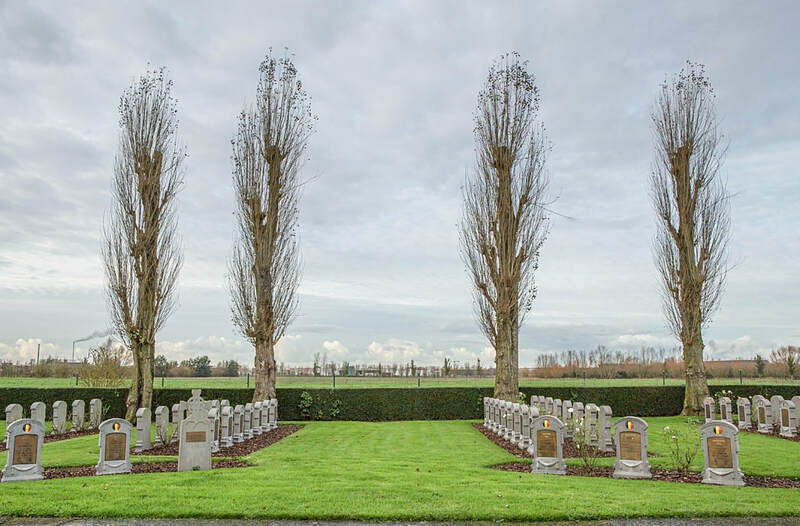 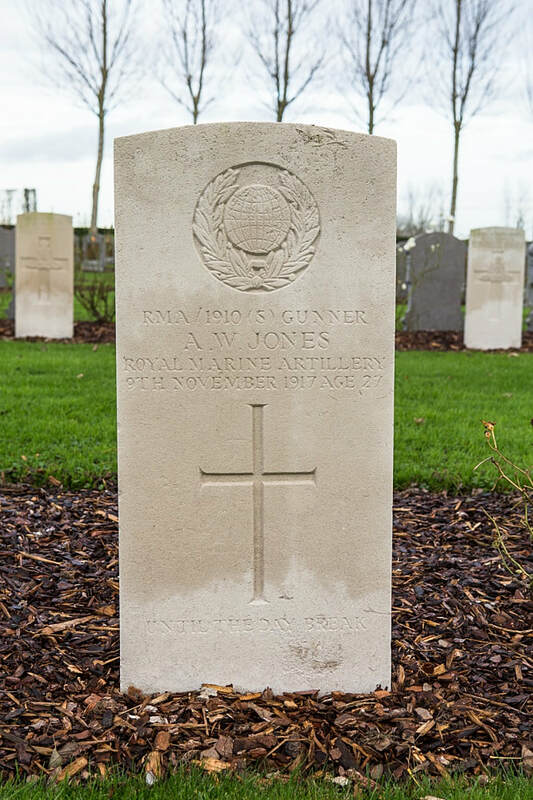 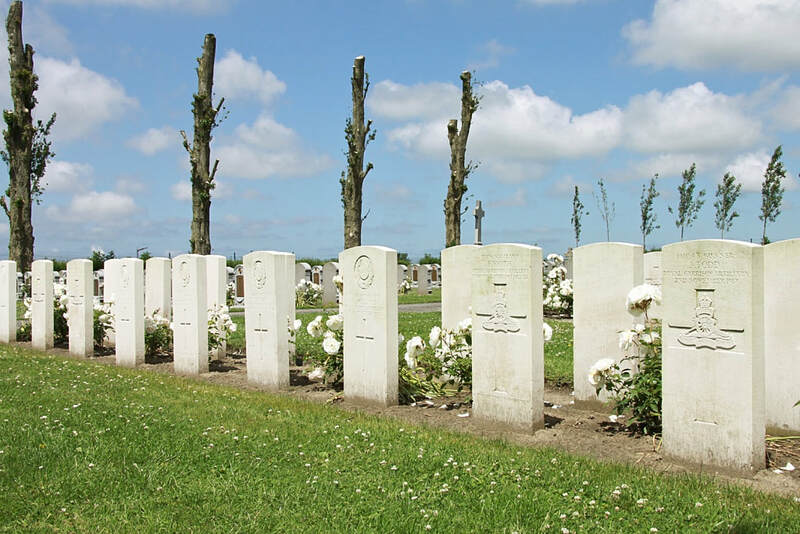 ​The Belgian Military cemetery contains a plot of 30 Commonwealth burials of the First World War, more than half of them of men of the Royal Garrison Artillery. All but one of the burials date from October and November 1917.